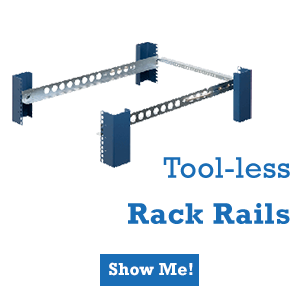 RackSolutions originally developed the Universal Rail Kit as an alternative to OEM rail kits. 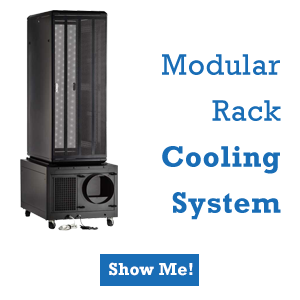 This was because when new servers came out or the data center wanted to use other branded equipment, they would often have to also purchase new rail kits. 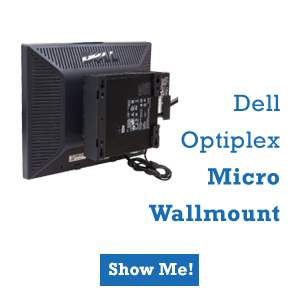 Universal rail kits were compatible with all servers from all OEMs, so they were not only compatible with the latest Dell server, they would also be compatible with Lenovo and HP servers. The new rail kits also allowed equipment to be much easier to swap, since everything just slid in and out of place on the rail kits. This saved Data Centers lots of time and money. 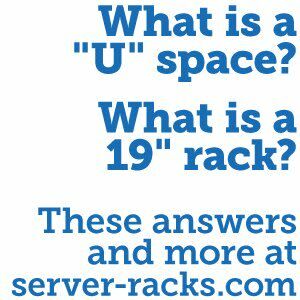 While RackSolutions Universal Rail Kits are primarily used for servers, they also serve as an excellent alternative solution for “ears”. “Ears”, also called “wings” and “tabs”, are often used on server and networking equipment such as switches, routers, and UPS systems. The drawback to using ears when rack mounting switches, is that the equipment tends to sag on one side due the fact that only the front of the equipment is mounted. This switch droop over time causes stress on not only the ears used to mount the switches, but can also cause stress on the equipment and rack itself. The problem also results in the loss of a U-space within the rack, making a normally 1U product take up half of another U-Space. While the problem has seemed very minor in the past, more recently the issue has grown even more with the evolution of network switches and routers as they have gotten deeper and heavier. Some companies have even started looking into making rail solutions for their deeper switches. 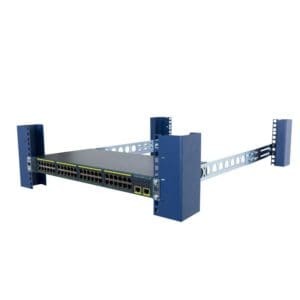 The rails allow network switches to be mounted without drooping by having support provided from both sides of the rack. While using the included ears with network switches and routers works, it is not always the best solution in the long run. 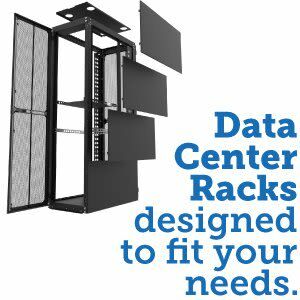 RackSolutions Universal Rail Kits serve as an excellent alternative, relieving stress from equipment and freeing up a U-space while saving data centers time and money. The new rail kits also allowed equipment to be much easier to swap, prevented sagging, and saved Data Centers lots of time and money.